You can have the royal treatment at Disney’s Animal Kingdom with two newly-added Festival of the Lion King signature dining packages. Experience the Festival of the Lion King like royalty with new dining packages. Guests can enjoy a meal at Tiffins Restaurant, followed by special VIP seating at one of Walt Disney World’s most popular stage shows. 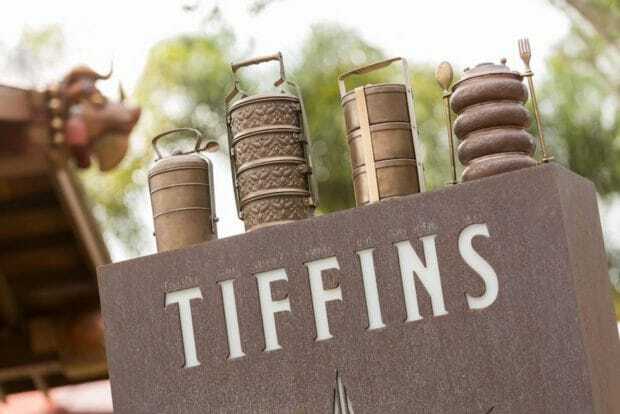 For both Tier I and Tier II dining packages, guests can dine for lunch or dinner at Tiffins on Discovery Island. There, they can indulge in a three-course meal that includes one appetizer, one entrée, one dessert, and their choice of wine, beer or a non-alcoholic beverage. The seasonally-inspired menu features dishes from around the world. For appetizers, guests can choose from items like Avocado-and-Tomato Salad, Charred Octopus, and Spiced Chickpea Falafel to kick off their meal. 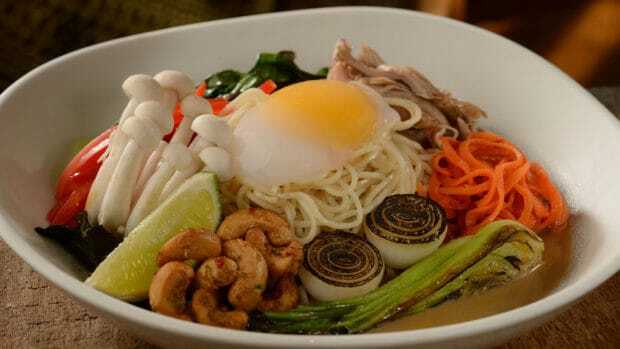 On the main course, guests can try entrées like Kamo Ramen (duck confit, soft-poached egg, alba mushrooms, chili-lime cashew in spiced coconut broth), Shrimp and Grits, Surf and Turf, or Fort McCoy Beef Tenderloin. 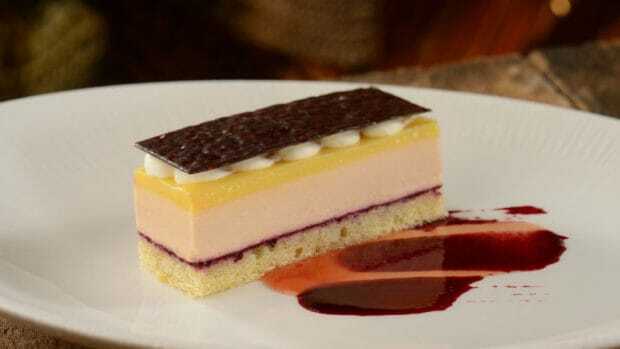 Naturally, you’ll have to save some room for dessert, like the Guava Mousse, Whipped Cheesecake, or the South American Ganache, with other sweet dishes to satisfy every sweet tooth. 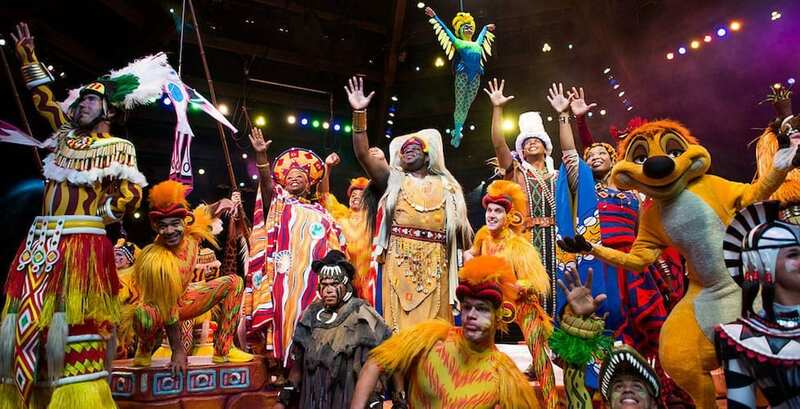 In addition to the meal, guests will receive vouchers for priority reserved VIP seating at Festival of the Lion King, a Broadway-style show that features songs from the film, puppetry, live singing and more. Guests will even receive a commemorative cast photo to remember their experience. With the Tier I dining package, guests can continue their experience with a safari tour through the African outback, escorted by a guide. Guests will ride through the rugged terrain to see over 34 different species of wildlife as the tour guide provides information on the land and its inhabitants. The Tier I Festival of the Lion King signature dining package includes the lunch or dinner at Tiffins Restaurant, priority VIP seating at Festival of the Lion King, and a safari tour for $99 per adult and $49 for children ages 3-9. The Tier II Festival of the Lion King signature dining package includes lunch or dinner at Tiffins and the VIP seating, but no safari, and costs $74 per adult and $29 for children ages 3-9. These new dining packages are available daily starting Aug. 13 – Nov. 21. Space is limited, and bookings start tomorrow on Aug. 2. Make your reservations online or over the phone at (407) WDW-DINE. To learn more about other unique dining opportunities at Walt Disney World, visit DisneyWorld.com.